I've done a simple research with the great http://data.stackexchange.com/ and have added the results as the answer below. Knowing these facts won't change everyone's habits, but a possible 15-25% improvement in getting answers faster and better may still be interesting. When not mentioned, the data comes from Stack Overflow, since it's the biggest subsite. You can analyze other subsites with tools mentioned in the first answer. 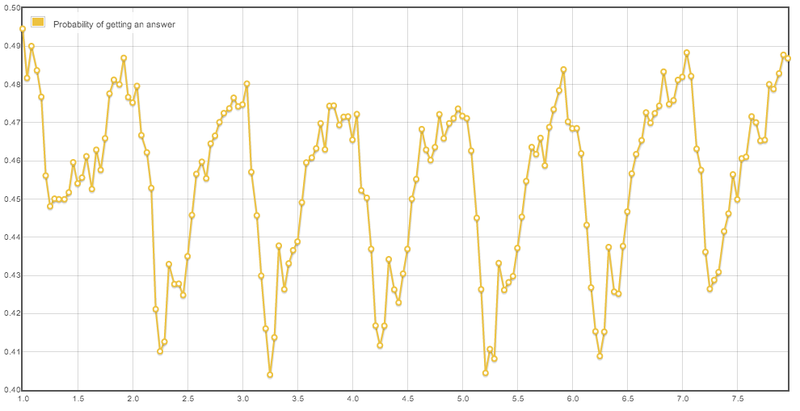 X-axis in the charts below denotes time: 1.0 is Sunday, 12 am GMT. For example, 3.5 means Tuesday, 12 pm GMT. To answer the above questions, I've prepared a few queries. When do we add most questions and answers? You can get data for your account alone, so the stats become relevant exactly for your type of questions. You can use this across different StackExchange websites. See "Switch sites" on the query's page. You can change the frequency of data (within a day, week, or combined). 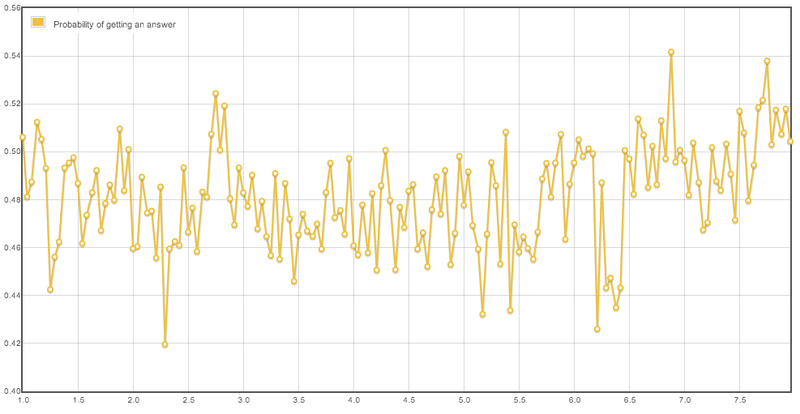 Different time frames for the data: for data range and posting timeframes. You are 25% more likely to get an answer if you ask a question in the right time. You can increase the number of views of your question by about 15% if you post it at the best moment. 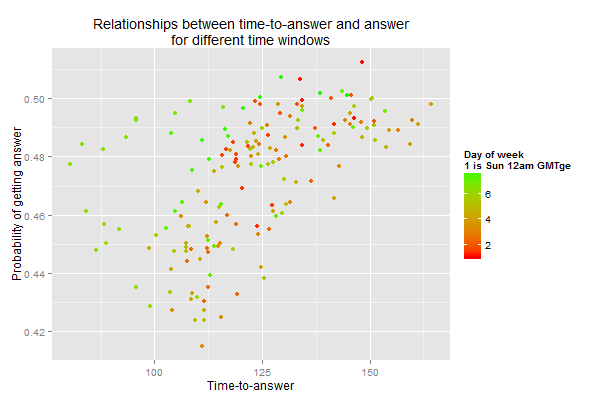 62% of accepted answers are given within one hour after asking. 39% are answered within 15 minutes. In most cases, data shows same metrics even if taken from the 5-year activity. That is, the time good for getting a fast answer is also the time when the probability of getting any answer is lower. Unlike an intuitive expectation that at some times community is active enough to answer questions and go this fast. The problem with that is: in the long-run these pattern of dependence should not arise because posts less and less depend on their posting time, as they are reached through search engines and cross-links. 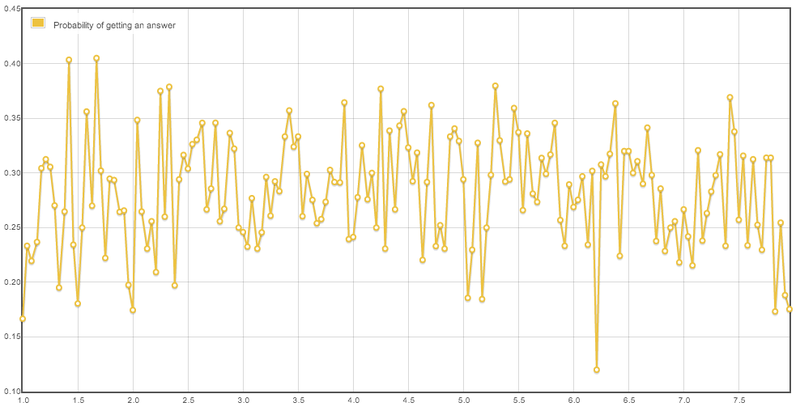 And the one-year graph shows a very bleak dependence of views from posting time. Perhaps, that's one difference in behavior patterns that appeared over the years on SE. Your questions and corrections are welcome. There're more interesting questions about the community's behavior. Hard to cover any significant fraction of them, but I hope to post more later. There's one thing to share about the most important number: the likelihood of getting an answer at all. The likelihood depends on posting time, but in an interesting fashion. Stack Exchange websites exhibit different patterns. 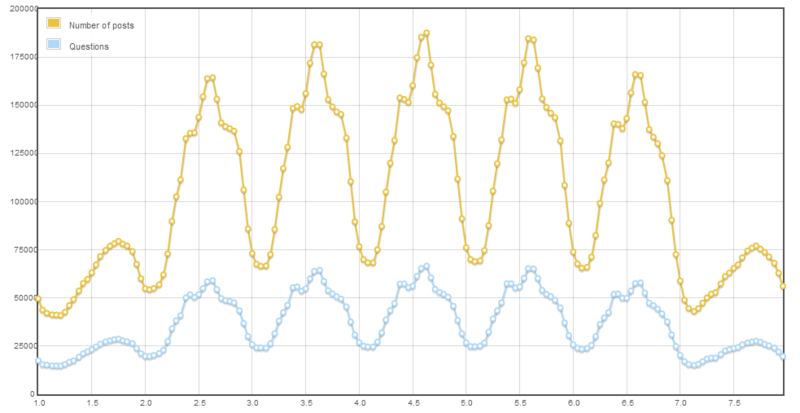 Just three graphs to illustrate (Axis X denotes time, 1.0 = Sun, 12 am GMT). 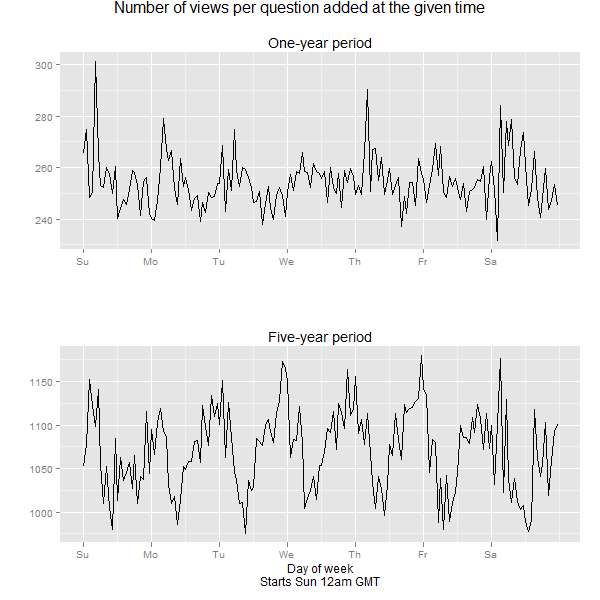 An expected pattern with smooth changes over the time: a 25% increase in the likelihood of getting an answer if posted in time. Small jumps over a stable average probability of getting an answer. The probability is slightly higher on the weekends. A twofold change in the probability in just 3 hours (between 5.0 and 5.5). These jumps seem to be data artifacts, but there's a noticeable trend of the probability increasing from 12 am to 12 pm each day. When post my question to maximize the answers? When ask a question to maximize views? Since the queries above have parameters, I have decided to post these queries here as a no brainers. Note: Unfortunately, my queries doesn't seemed to work with stack overflow (too many data, I guess). So, if you want to build a query who works, feel free to post it here. Note 2: Depending on the site, resultats aren't the same. Don't forget to switch to the site who interest you before running the query. Not the answer you're looking for? Browse other questions tagged discussion stack-overflow users activity-summary . What is the best time to ask questions? Why is Stack Exchange biased against casual and cosmopolitan users? When is the best time to ask questions (v2)?